Vivienne’s work “creates a tangible form to express the intangible” Her sculptures exhibit themes such as character, love, memories and connections – things we know and feel but can’t necessarily touch. 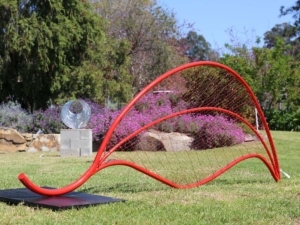 Her sculptural explorations of how people connect with one another and their environment echoes from a background in landscape architecture which complements her public art works. 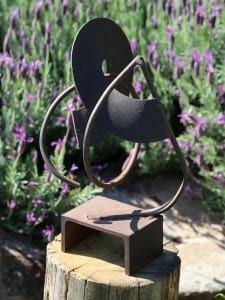 This artist loves to experiment with materials to suit the means and has created works in bronze, clay, wire mesh, steel & stainless steel, resin, paperpulp and more. Her sculptures are often organic forms, stylized and with clean lines. However, intricate detailing and experiments with sound- namely music, can also be found in amongst her work. Vivienne lives and works in Sydney, Australia and is Vice President of The Sculptors Society.